The band was formed by bassist Egor Lomonos and guitarist/vocalist Oleg Kolotusha in winter 2005. After awhile a guitarist Dmitry Marchenko and drummer Jaroslav Docenko joined the band. In such composition the band takes part in different festivals and club concerts. In 2007 a drummer Vladimir Shapkun substitutes Jaroslav Docenko and presently he is the band�s drummer. In two months Dmitry Marchenko left the band and MORiA members decided to play as trio. Autumn 2008 MORiA participated in �Death Damage Fest� with Deadlock (Germany). In such composition the band takes part in ProRock festival in 2008 with such bands as Rage, Rasta, Devillish Impressions and other bands from Ukraine and other SNG countries. During this period of time the debut album �PSY� was recorded and the first video clip with participation of Lilith from the Zaporozhye - based band �General Wound� was directed. The first studio album was produced at the Ukrainian label �Black Art Production�. Over the time the band�s style changes � the sound becomes heavier and the vocal groovier. Guitarist Alexey Pasko joins the band in autumn 2009. Presently the structure of the band remains unchanged. After this change of membership the band produces the EP �Clouded Mind�. The new material becomes more attractive for press and radios. Almost immediately after the EP production new video clip on �Dead Memory� song is directed. Spring 2010 the band participated in �Death Damage Fest� with such thrash-band Onslaught (UK). 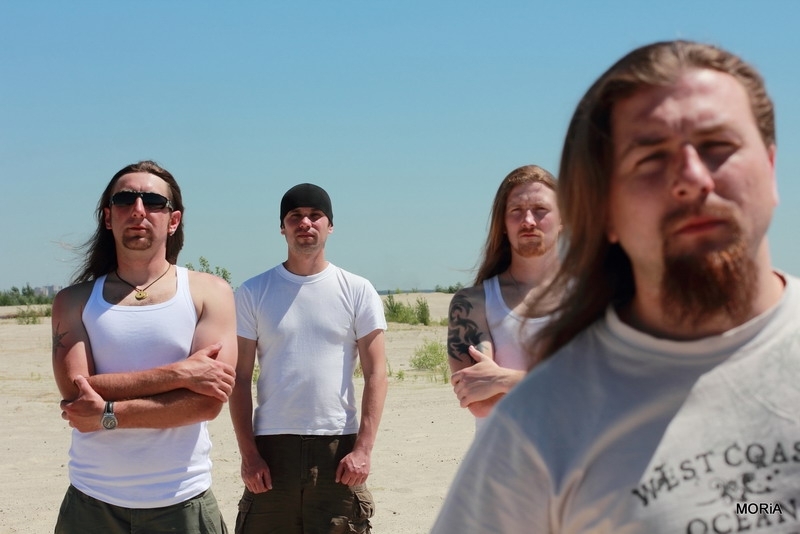 In autumn 2010, the band went on their first tour of Ukraine �War Against War Tour 2010", together with the Polish band Disquiet and Ukrainian band Wasted Heroes. The visit card of the band includes heavy guitar sound, powerful rhythm section, a contrast between melody and aggression. Lyrics also hold an important part in band�s art. It embraces the problems of war and ecology, state of mind, sub consciousness, and philosophy. The material for the next album �Pain Shreds� was just recorded. The album will include 10 songs. At the moment the album is at the stage of mixing and mastering. The album was attended by musicians: Evgeny Ardentis (STARDOWN)[Russia]; Kate Moray (Moray Eel) [Russia]; Alexandr Baev (Hell:On) [Ukraine]; Iowa (Ungrace) [Ukraine].